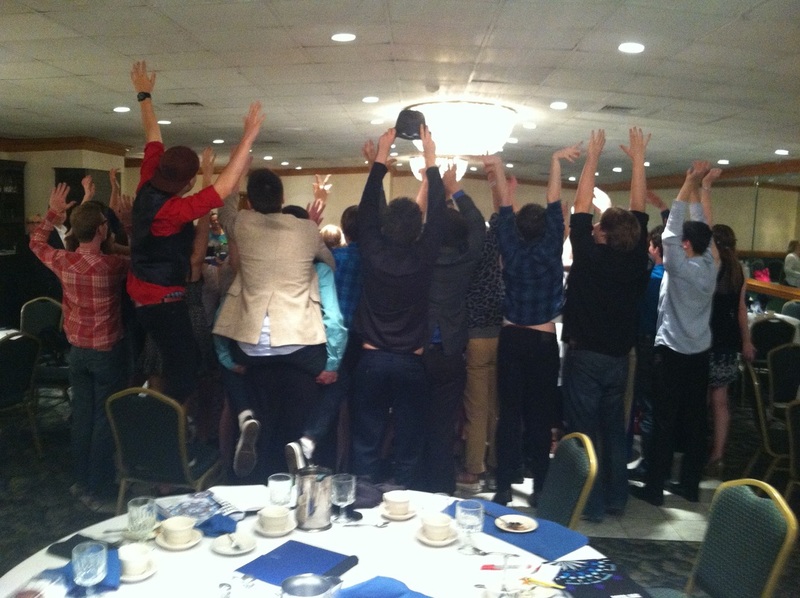 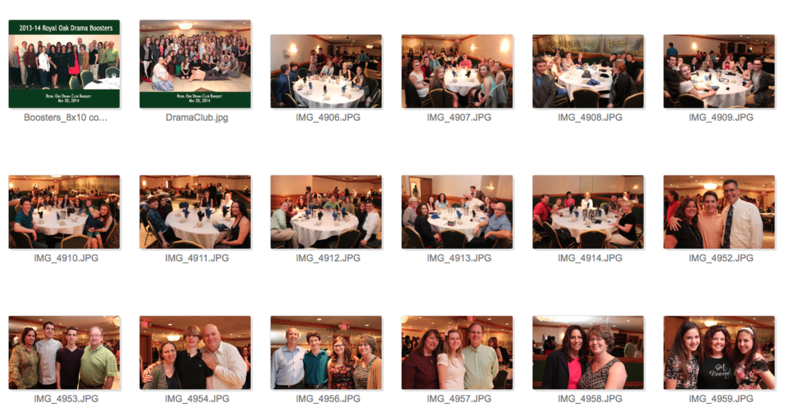 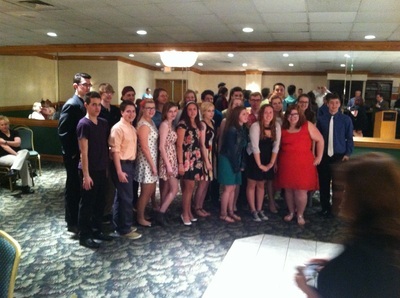 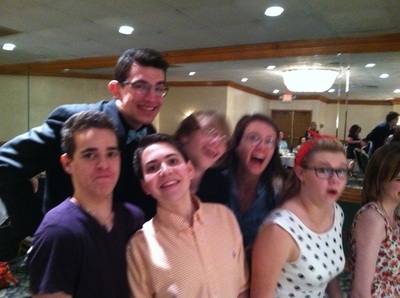 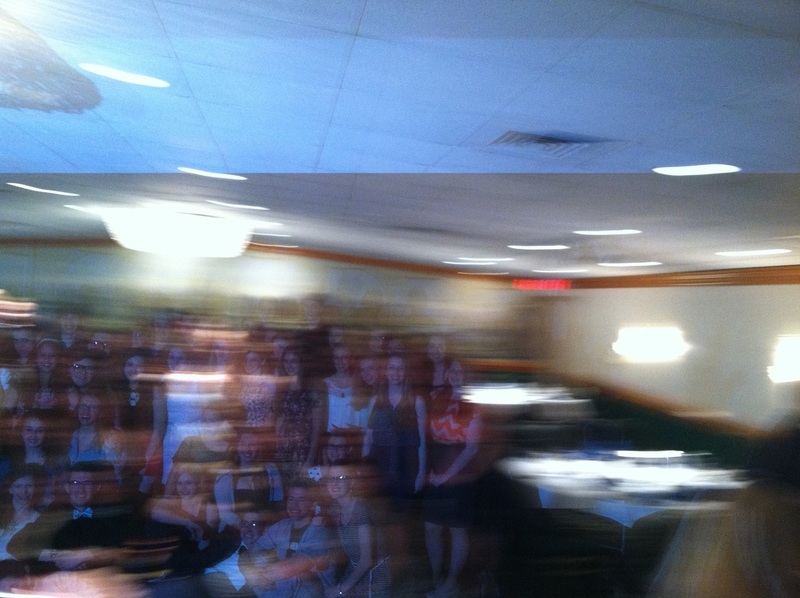 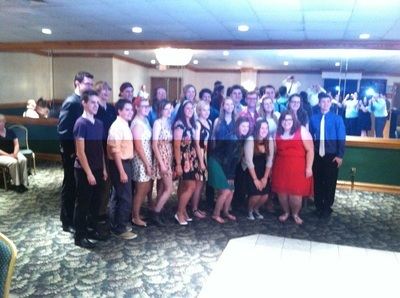 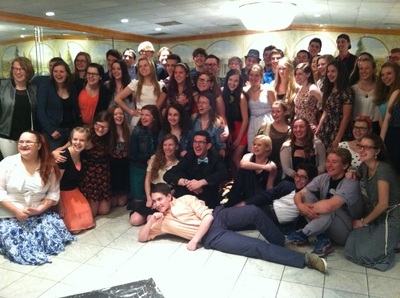 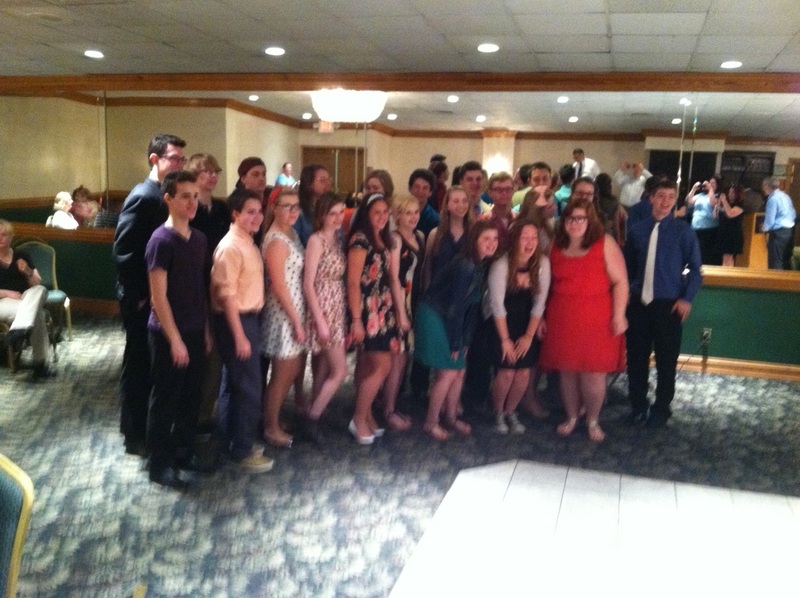 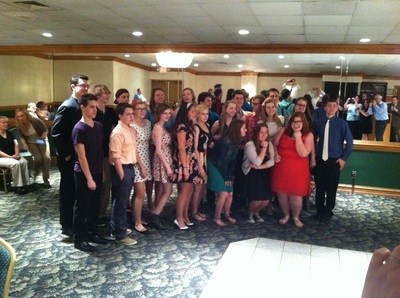 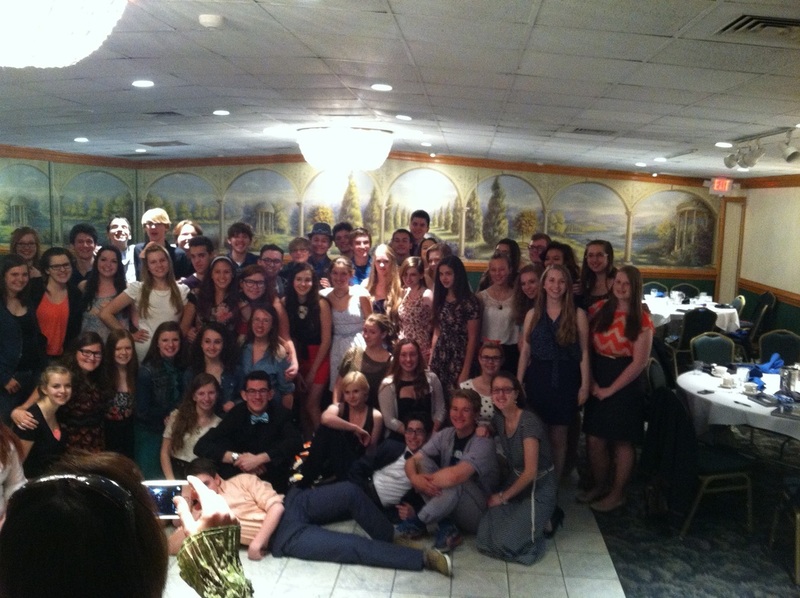 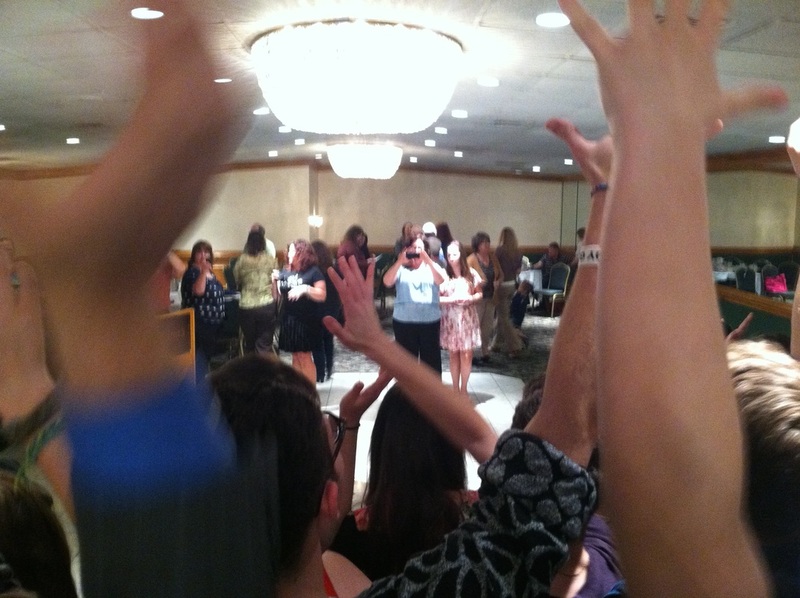 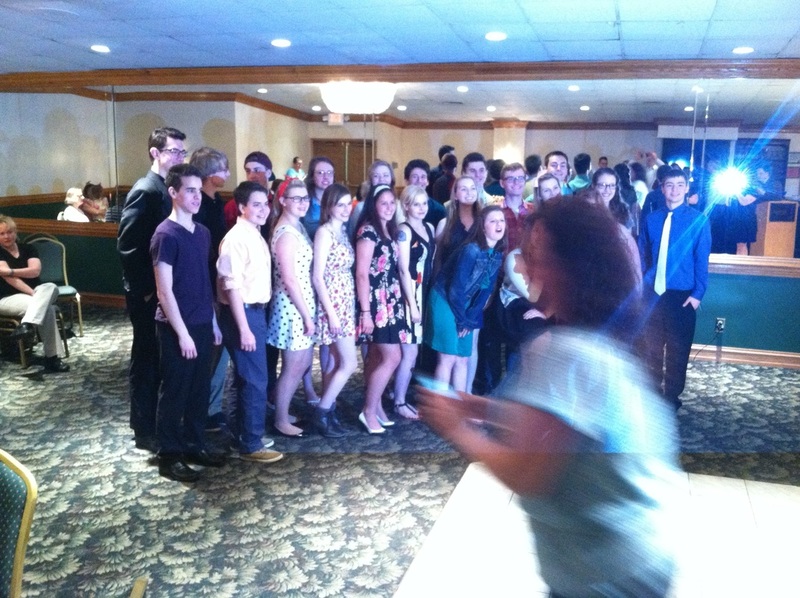 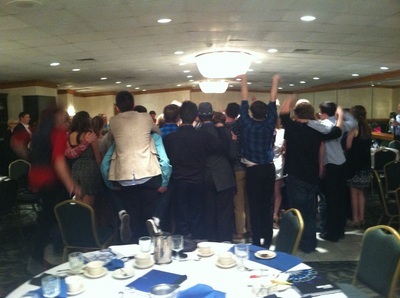 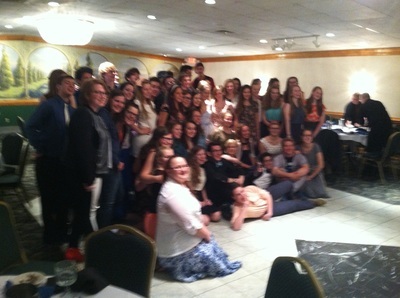 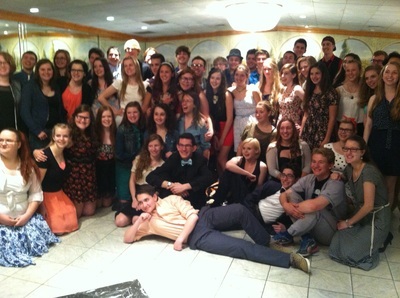 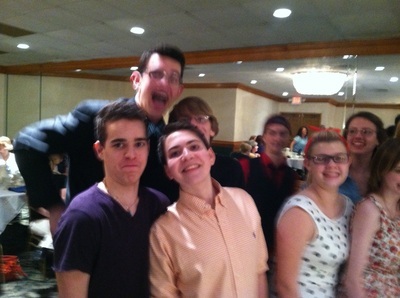 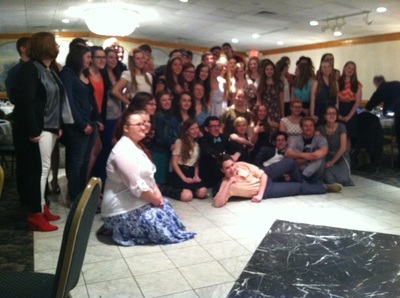 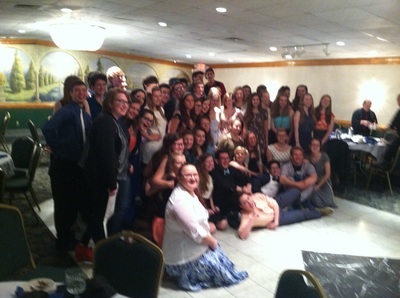 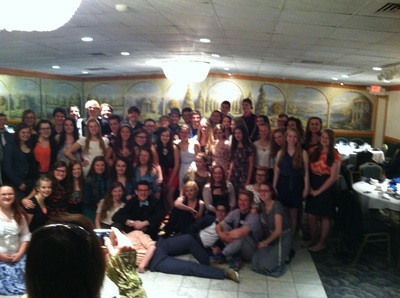 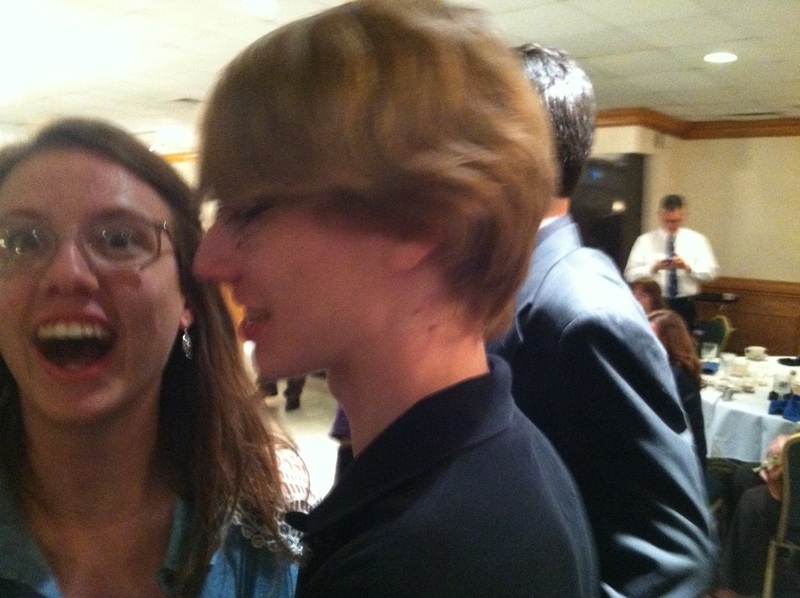 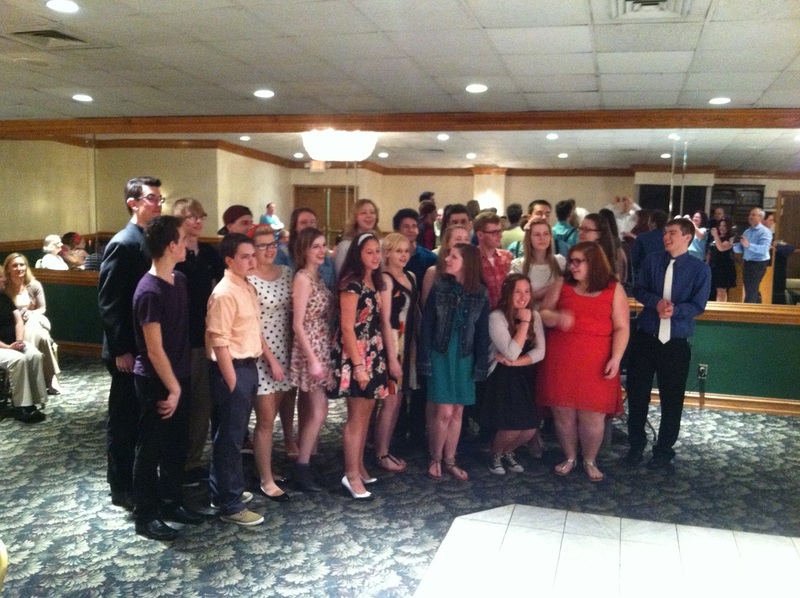 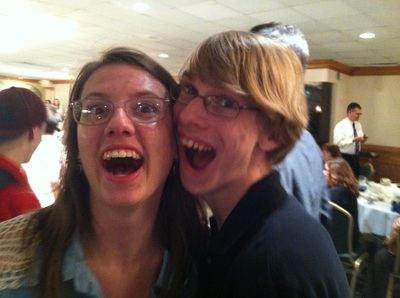 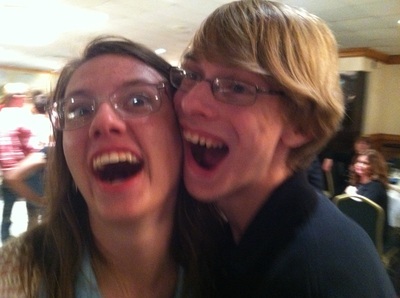 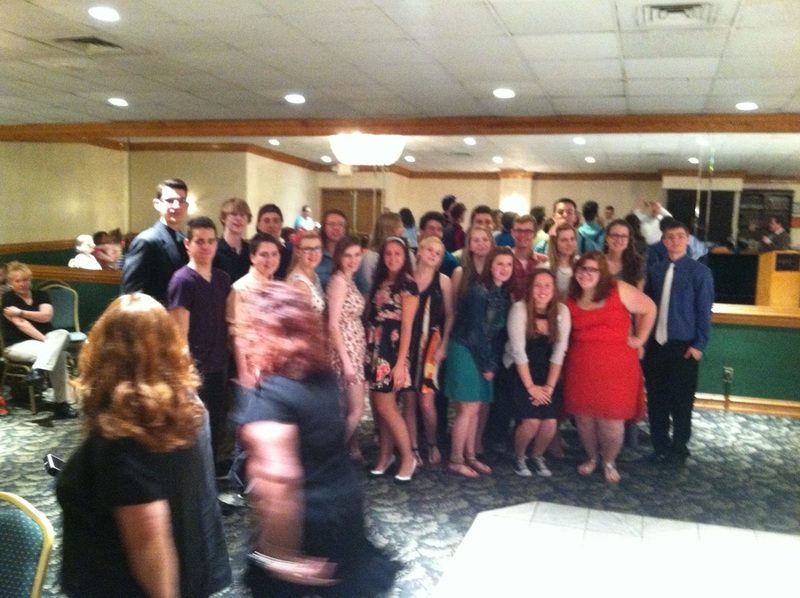 The 2013-14 Drama Club Banquet at Farina's Banquet Center on Wednesday May 20th was an exciting affair. 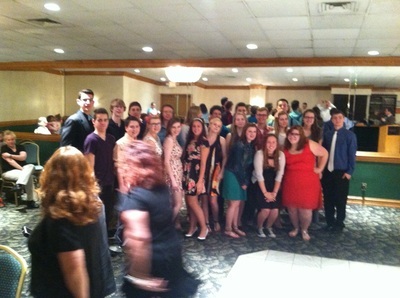 Socializing and dinner was followed by speeches by the nominees to be choir officers for 2014-15. 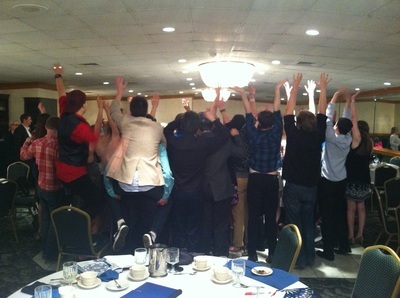 While votes were being tallied, the outgoing officers Bobby Daratony, Max Sanders, Hannah Wielgat and Mo Ozdych made speeches, with Mo highlighting each of the outgoing seniors. 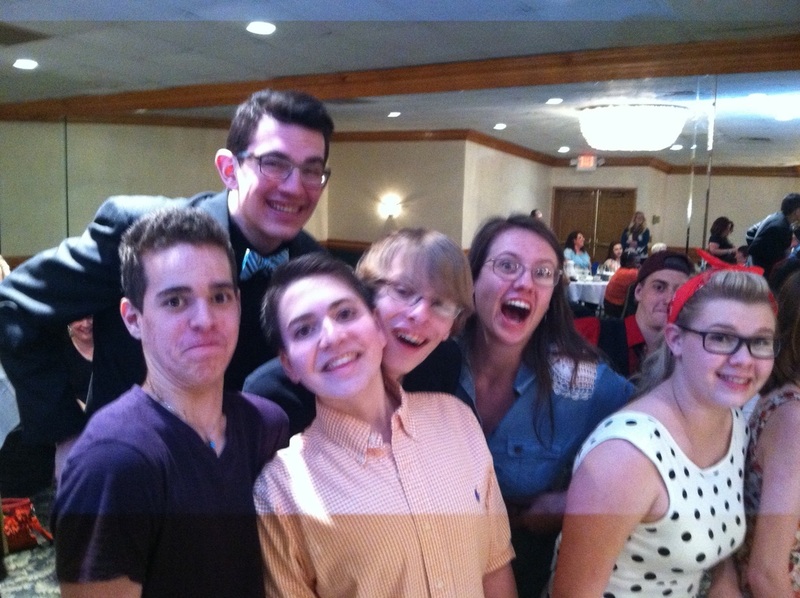 Drama Club Coach and Teacher Advisor Teresa Brewer Rollins (who announced was stepping down at the end of the year) gave the officers the list of the winners. 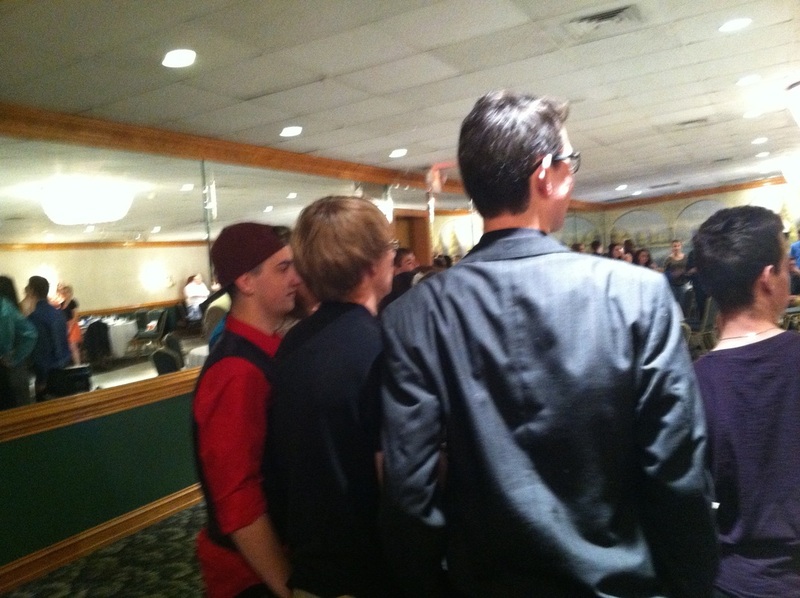 Next years officers are Mike Miller, Deryk Nagengast, Maureen Murphy and the President is Kara Barbieri. Drama Club Coach Ed Nahhat then announced the lineup for the 2014-15 season. 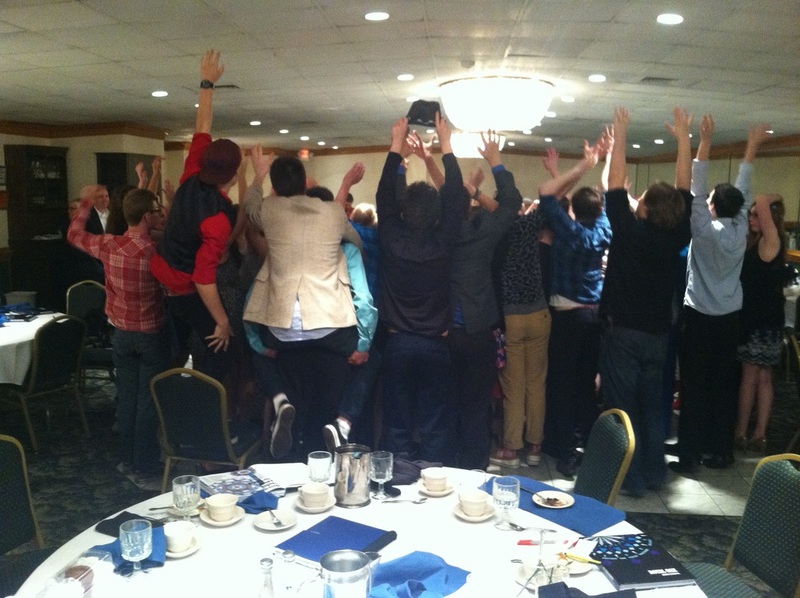 Our Fall Musical will be Oklahoma! and the Spring Theaterical will be Cyrano de Bergerac.